After last nights high tide I decided to head back to Newquay to see how the beaches were holding up in the cold light of day. I headed back to Towan beach where I had been photographing last night and things had clearly been bad again during this mornings high tide. This road was badly damaged by a storm just three weeks ago and the repair works were currently underway. The repairs have been ripped straight out and more of the retaining wall came crashing down after being hit by a barrage of continuous large waves. 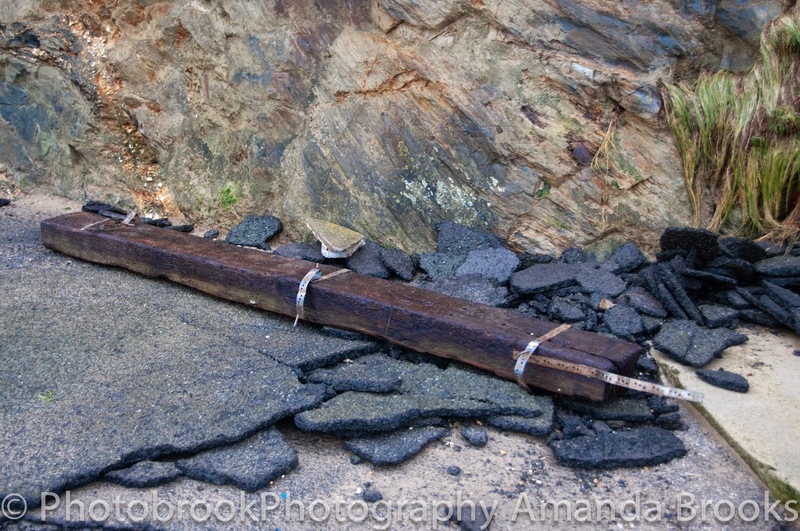 This is what is left of the promenade at Newquays Towan beach this morning after the first hole appeared last night and the rest washed away this morning. 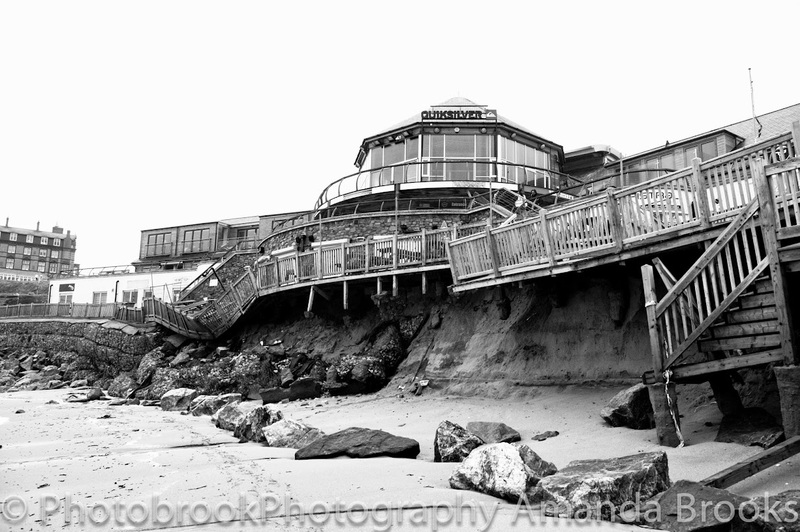 The blue reef aquarium sitting just above the shore took a pounding but looks relatively undamaged however the Blue Reef Surf Shop just a few meters along didn't fair as well with the doors being smashed open by the waves reaching the goods inside. Sand, pebbles and rocks were washed up over the sea wall and have been left built up in a pile against the wall of the Blue Reef Aquarium. To see pictures from the storm as it happened last night that caused all this damage check out my previous post on the storm swell hitting Cornwall.